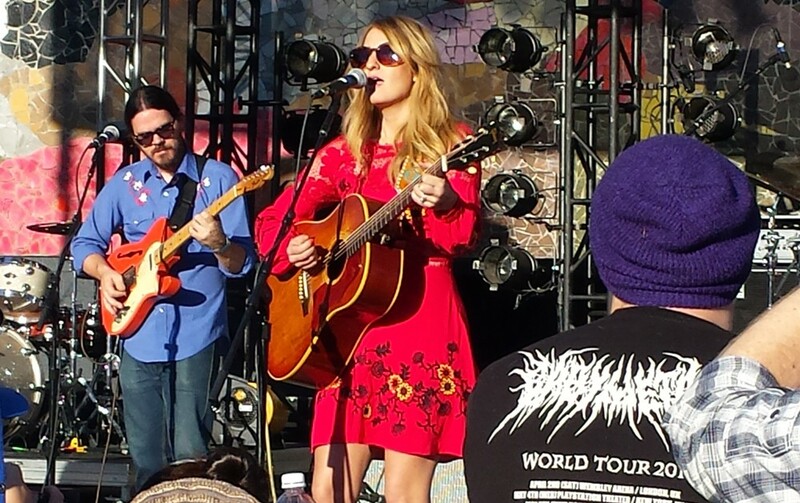 Margo Price proved worthy of the hype that accompanied her album earlier this year. 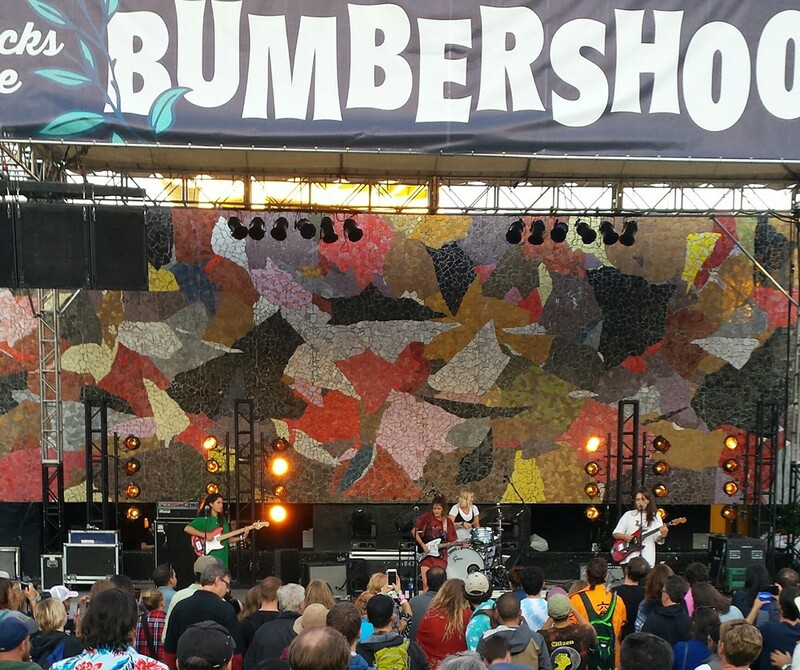 Any festival with a 46-year history is going to have its share of naysayers, but Seattle's Bumbershoot remains a force in the Pacific Northwest thanks to its combination of convenience, timing and a dedication to regional music. Judging by the teaming hordes who filled Seattle Center last weekend, the fest is as popular as ever. I cruised westward for the Labor Day festival with little in the way of "must-see" bands on my list, allowing the whims of my friends and the vibe at any given time to steer me toward music. That proved a good idea. Collectively, we decided to never stand in line, which meant ignoring the array of DJs who performed in Key Arena, as well as some of the headliners playing in Seattle Center's football stadium. No Macklemore, no Fetty Wap — no problem for us, as we found plenty of treats on smaller stages. • Atlas Genius delivered a solid early set Friday as the festival was just getting rolling, and their cover of Tears for Fears' "Everybody Wants to Rule the World" was both reverent and quite excellent. • Coast Modern, a relatively new band based in Los Angeles, charmed with a set of winning pop-rock, as well as Seattle native/guitarist Luke Atlas talking about spending his high school lunch hours right at the mural amphitheater his band was playing. Best "What, They're playing Spokane THIS WEEK!?!" • Fly Moon Royalty killed at the KEXP stage set up outside the station's new Seattle Center digs. Lead singer Miss Adra Boo and her producer/MC partner Action J filled out their show with a guitarist, a couple of backup singers and a dancer, and their set was a highlight of the entire weekend. They are playing Checkerboard Bar on Friday in Spokane, so you can see for yourself in what I imagine will be a more stripped-down band lineup. • Don't be surprised if Desi Valentine becomes the next Leon Bridges for music festival bookers, bringing his high-energy, soulful style to festivals everywhere. His set was a blast, and his cheeky one-liners delivered in his British accent were pretty great. Madrid's Hinds delivered some joyful pop-punk riffs. • Madrid grrrl-rockers Hinds were gloriously fun. One moment they would seem to be fumbling through the motions, seemingly unable to lock in, only to suddenly burst forth into a sing-songy tune full of power chords, creative vocal interplay and, always, huge smiles from the four women on stage. I had high expectations of Margo Price going in, based only on how much I dig her latest album, Midwest Farmer's Daughter, released earlier this year. Live, she was even better than I'd hoped, leading a fine band through a too-short 40-minute set that rocked with just enough twang for my taste. 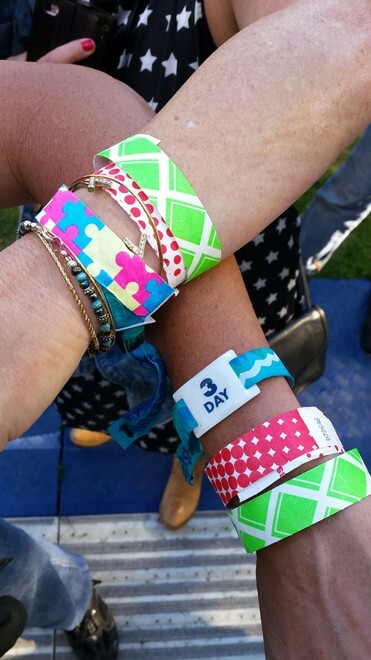 How many wristbands does one need to get a beer at Bumbershoot? More than you think. There were a few changes to the festival since I last went in 2014. Some were welcome, like the ability to wander the grounds with a beer and not be stuck in a beer garden. Others, not so much, like the Key Arena line being so long it cut off access to a completely separate stage. People waiting in line for Jai Wolf kept our crew from reaching the KEXP stage for Chastity Belt, all because the event organizers didn't set up a different access point for the smaller radio-station stage. That's a pretty small quibble, though, and there's always another worthy option a short walk away. Turned away from Chastity Belt and too late for Father John Misty, we wandered by Chevy Metal, the cheese-tastic side project of Foo Fighters' drummer Taylor Hawkins, in time to hear their ridiculous version of the Knack's "My Sharona" — a strange interlude on the way to Andrew Bird's quirky nerd-pop, but definitely in the far-reaching spirit of Bumbershoot's appeal.